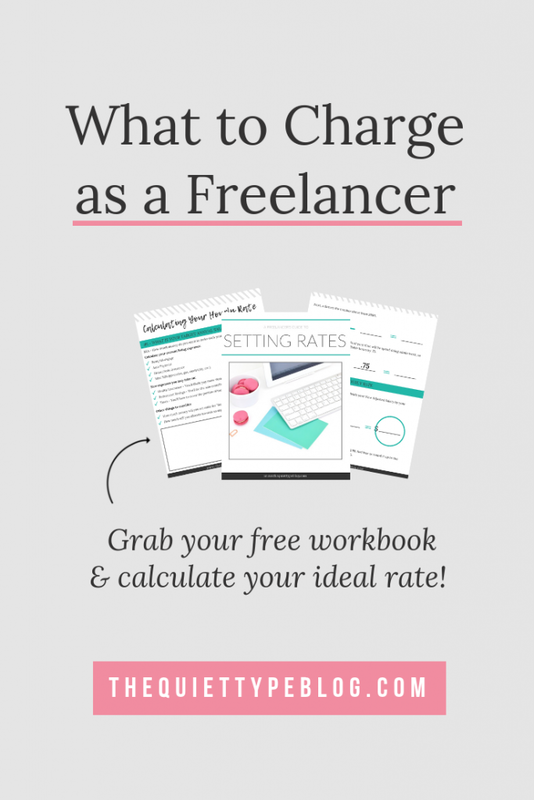 What to Charge as a Freelance Writer - A Guide for Newbies! If you’ve joined any Facebook groups for freelance writers, you may have noticed one question that gets asked over and over again. A lot of new freelancers fall into the trap of thinking they need to set lower rates because they don’t have much professional experience in the field. When I first started freelance writing, I was looking for clients on Upwork and thought the exact same thing. Most weren’t willing to pay fair rates to the writers bidding for their jobs. In fact, one of the first contracts I won on Upwork paid a pitiful $5/800 words. 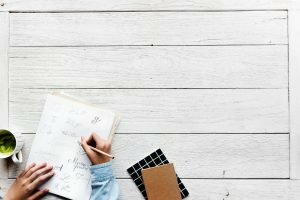 Being new to the freelance game, I thought that was normal for a new writer. Believing I shouldn’t charge what I thought I deserved held me back for a long time. It wasn’t until I quit Upwork and started working with my first REAL client that I realized my mistake. One of the biggest tips I can ever give is to not undervalue yourself as a writer. So how do you find that happy medium between what you think you deserve to charge and what clients will actually pay? Note: This post may contain affiliate links. Find out more here. 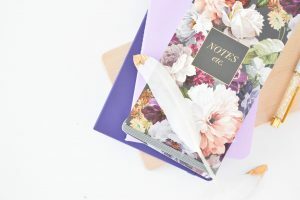 The thing that I’ve learned since I started freelancing is figuring out what to charge as a freelance writer is only as complicated as you make it. Seriously, it doesn’t have to be hard! 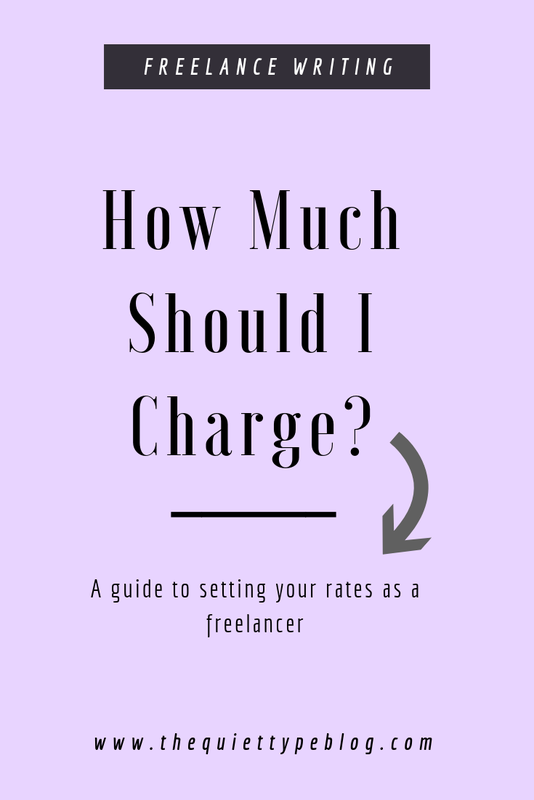 The easiest way to figuring out what to charge as a freelance writer starts with figuring out your HOURLY rate. Once you know how much to charge per hour, you can break that amount down to determine your rate per word as well as fixed pricing. If you’re like me, you started freelancing because you crave flexibility, creativity and the need to be your own boss. In short, you’re trying to replace your current income so you can quit your tiresome, soul-sucking 9-5 job and live the life you want. Knowing how much you need to make annually to replace your income is the first step to determining what to charge as a freelance writer. Your target income is what you hope to make each year. This can be the same annual income you make at your current job but if you’re struggling to make ends meet, it’s okay to aim higher. Regardless, your goal still needs to be feasible; don’t set a target income that isn’t achievable, especially when starting out. How much money do you want to have for “fun” stuff? How much do you want to allocate for savings? Once you’ve figured out the monthly expenses, you’ll need to convert them to reflect how much they equal annually by multiplying them by 12. One of the best things about freelancing is the ability to work from just about anywhere with WiFi. As a freelancer, your business expenses will more than likely be on the low end. That being said, knowing what expenses you’ll have for the year go a long way in figuring out what to charge as a freelance writer. Web Hosting – Freelancing is the same as running a business, and as a business, you need a website. Not only will it house your portfolio but it will also help you find new clients. Tip: If you’re on the fence about which web host to use, I recommend SiteGround. Use my link to get hosting for as little as $2.95/month! Accounting Fees – Your account will help you figure out how much to set aside for taxes and when/how to pay your quarterly taxes. They’ll also handle filing your taxes at the end of the year. Invoicing Software – Ideally, the software you pick will allow you to handle invoicing as well as keep track of accounts receivable (the money coming in) and accounts payable (business expenses). I’ve tried several, including QuickBooks, but my favorite (and the one I use right now) is WaveApps, which is totally FREE and works perfectly. Okay, so I’m willing to bet one of your goals as a freelance writer is to work less than you did at a 9-5 job. You want the freedom to spend time with your family, take vacations, and have a flexible schedule. That’s all totally possible, but it plays a part in deciding what to charge as a freelance writer. There are 2080 working hours in a year, so you need to determine how many of those you plan on working. Let’s say you want to have three weeks of vacation time. That would be 15 eight-hour days, which is equal to 120 hours. Next, let’s assume you’ll need 1 week for time off due to illness or those days when you’re in a creative funk. That would be 5 eight-hour days, which is equal to 40 hours. Finally, say you celebrate 9 U.S. holidays in the calendar year. That would be equal to 72 hours over 9 eight-hour days. Total, you’re looking at taking 216 hours off each year for vacation, holidays, and illness. That means you’ll have 1,852 billable hours each year. Simple enough, right? Not so fast! You also need to take into account that about 25% of your time will be spent on non-billable tasks like marketing and finding clients. That needs to be added into your calculations, too. To determine your hourly rate, you need to do a little more math. We’re almost there, I promise! With these numbers, the adjusted annual salary would be $100,000. The last step is to divide the adjusted annual salary by the number of billable hours for the year. 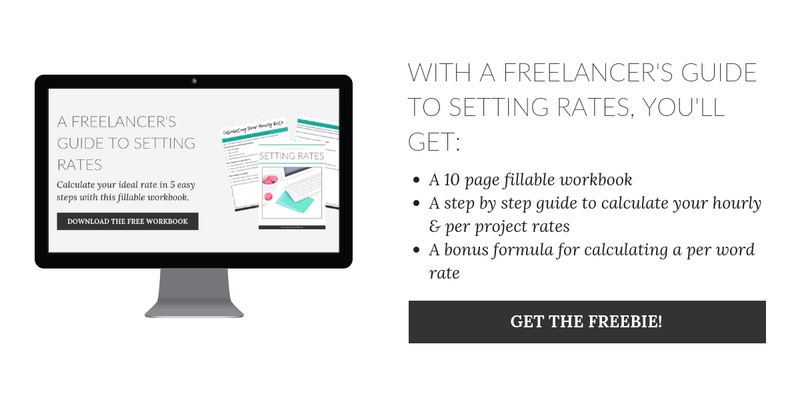 Now that you know your hourly rate, you can figure out what to charge per word. To do this, you will need to track your time. The next time you write, whether you’re working on a project or writing for fun, set a timer for 60 minutes. When the timer goes off, check your word count. How many words you write in an hour determines your rate per word. Simply divide your hourly rate by the number of words. Keep in mind, this isn’t set in stone. This formula works to create a baseline to ensure you meet your target salary. BUT some people type faster than others and some projects take longer than others depending on how often you consult your notes or have to look things up. Not everyone is going to be totally comfortable quoting $0.15/word right out of the gate either and that’s okay. However, I do think it’s fair to ask for at least $0.10/word. Okay, so here’s one more nugget of wisdom. When you can, quote prices as a fixed rate. By quoting a fixed price per project, you can look at the project as a whole and figure out how much work will go into research as well as writing to create the final product. Plus, a fixed price can seem like a better overall investment for your client. With the first quote, the client might get hung up on your hourly rate and how much time you estimate the project will take. They might wonder if it’s actually worth the investment. On the other hand, quoting a fixed rate for the same project keeps the client from getting sidetracked by your hourly rate because they’re looking at the project as a whole. When you forgo quoting an hourly rate, clients will stop looking at TIME and start looking at VALUE. Ultimately, what to charge as a freelance writer is a personal decision. 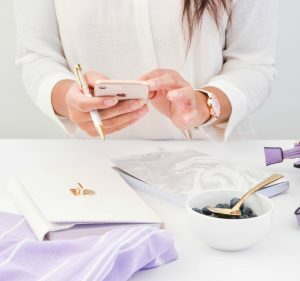 While I recommend figuring out your perfect hourly, per word, and per project rates using the methods I outlined here, you’re the boss and you know better than anyone what will work for your business. 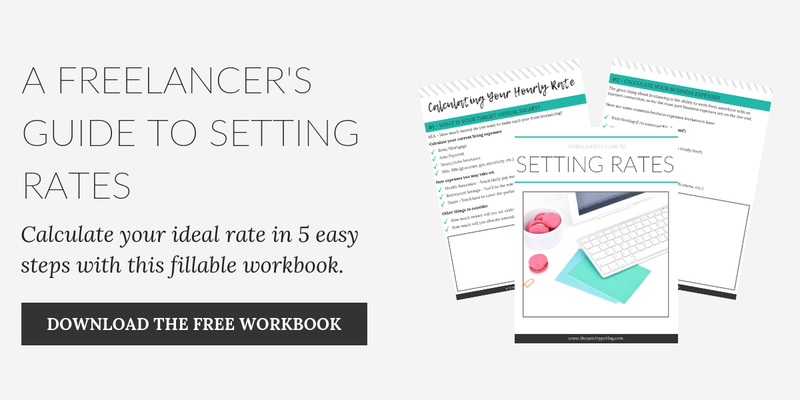 Grab my FREE workbook and get started calculating your ideal rate! I’m not a writer but this formula is totally useful for calculating my freelance design rates too, thanks for sharing! Hi Natalya! I agree, the formula works for so many different industries. Thanks for reading! I just started blogging a month ago and got an offer for $10. (LOL). Obviously I didn’t take it. This article was so helpful. Next time I’m going to use your tips! Thank you. Thank you Katie, this was a great post.